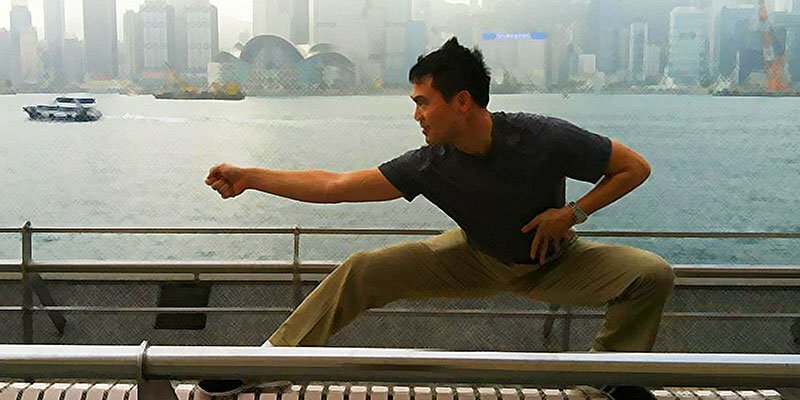 In episode 2 of the Wushu Adventures Podcast I speak with Matt Wong, a long-time wushu enthusiast who is one of only 3 certified international wushu judges in the U.S.A.
Matt and I discuss his history with wushu and he shares great information on what judges look for and what athletes should pay attention to. We also get nerdy with southern styles and he shares details on his new wushu school in Orange County, California. Matt Wong began studying Wushu in 1995 at University of California, Irvine and trained with the UC Irvine Wushu Team the Southern California Wushu Academy and the Guangdong Wushu Team. Huang Jiangang Guangdong Wushu Team Guangzhou,P.R.C. 2nd Traditional World Wushu Championships in Zhengzhou, China October, 2006 First place in Tongbeiquan and Southern Staff. Certified as an International Wushu Federation Judge in 2012. Many thanks to Matt Wong for sharing great information on this podcast. If you have any comments or questions just post them in the comments area below. If you like what you hear it would mean the world to me if you could leave a rating and review on iTunes. Podcasts really live or die based on the number of ratings and reviews they get and even just one makes a huge different. Just click here to jump straight to iTunes. It’ll only take you a moment and it would help me out a TON. Listening to the podcast at the moment, half way through it and my knowledge about nanquan has already doubled. Matt is awesome! Had the opportunity to take private lessons with Coach Wong at his new school while I was home in Irvine this past winter break. Really great guy, thanks for the podcast! We met Sifu Wong at the Tiger Claw tournament just yesterday, May 21. His knowledge is inspiring.